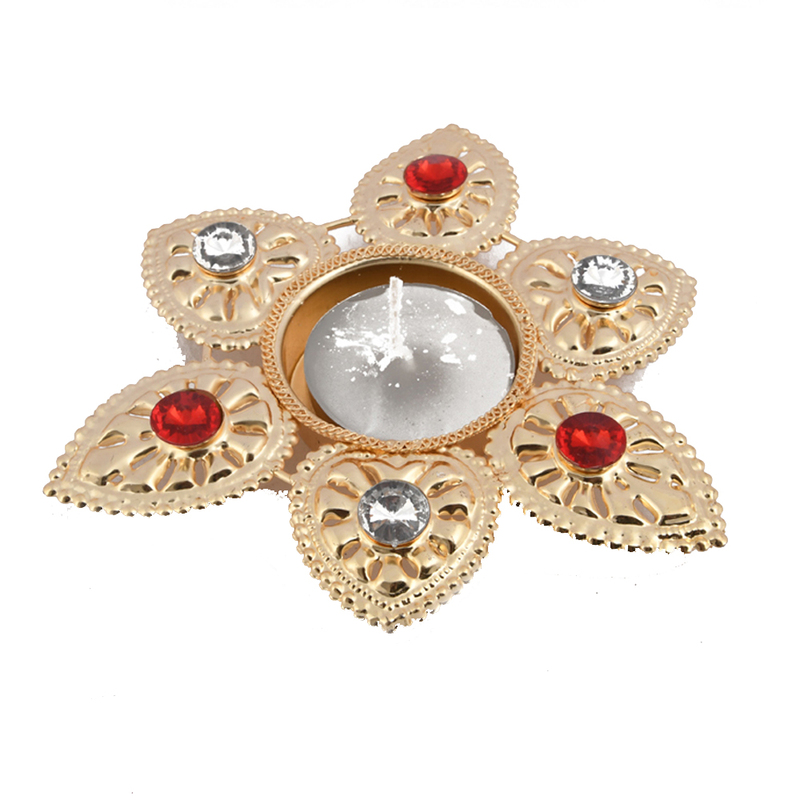 This flower shape candle with six petal design will be an elegant addition to your home. It quickly catches the eye, and makes its surroundings look even brighter. The flower shape candle is completely made of metal. The candle is to be placed in the middle, with six petals coming out in three Read More..diagonal axes. 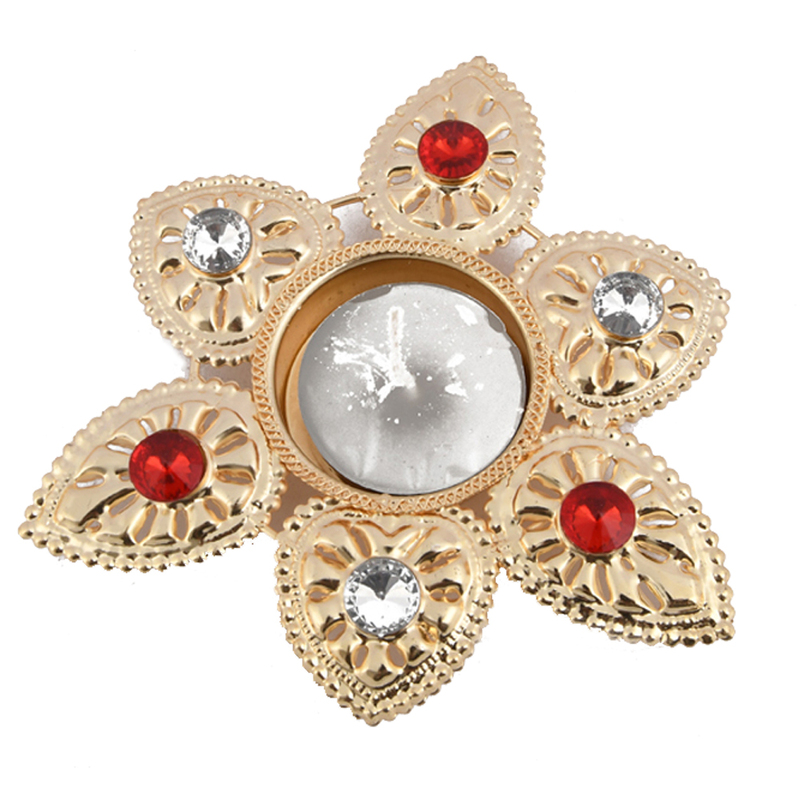 The petals are decorated with stones and engravings which makes it shiny and easy to spot. Even if the candle is not lit, it can be spotted quite easily. The edges of this flower shape candle have a zig-zag finish which makes it easy to hold. The entire candle is quite flat so that it does not take up much space. Show Less..